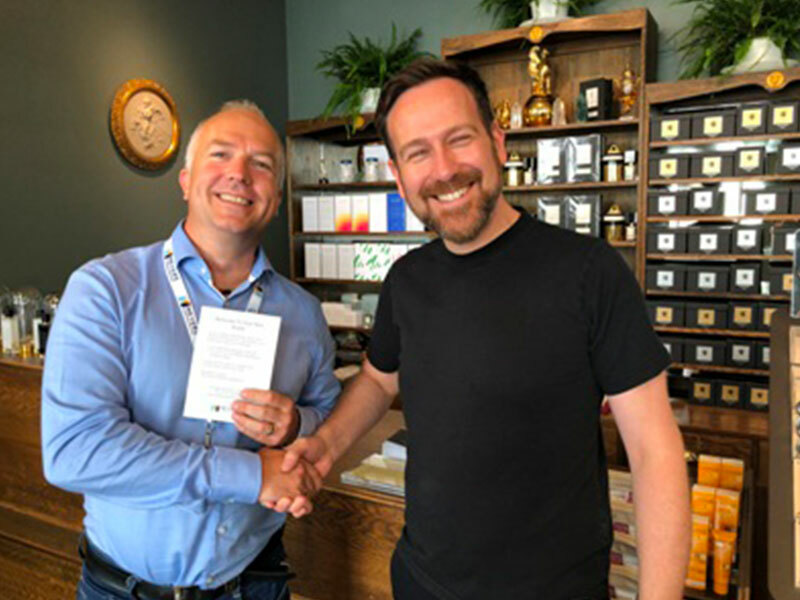 Meyers, Poundbury’s dynamic family run estate agency has teamed up with Medusa Apothecary to provide buyers with an ultra-soothing massage to help ease away the stresses and strains of moving home. Coupling its caring nature with practical thinking, Meyers has introduced a superb Completion Bag, which is now being presented to everyone who purchases a property via the agency, on or very soon after their completion date. The Meyers Completion Bag has been designed to serve two purposes. Knowing that buyers often plan to make small improvements to their new home and that moving can be both physically and emotionally draining, Meyers has brought together wide-ranging local businesses to provide an eclectic collection of gifts and discounts on products and services, from plumbing to the reinvigorating massage. Everything around the home is covered, with discounts kindly offered by The Flooring & Tiling Shop, the Fireplace & Stove Centre, White’s Plumbing & Heating, Great Western Electrical Distributors, and key cutting at Shoetrees. Buyers can also claim discounts on lovely gifts, homeware, and accessories at Magpie, and on pampering treatments at Akemi Spa; there is a free Sunday dinner for two at The Gardens Group; and gifts from Meyers include two hours’ free handyman service by Handyman Hardy. And of course, there is the massage – after the tension and trepidation of moving home, who wouldn’t use the fabulous voucher for a free 45-minute stress-busting Upper Body Ultimate Massage treatment worth £45 at the award-winning Medusa Apothecary, where warm oils drizzled over the neck, back and shoulders are incorporated with a deep tissue and pressure point massage to remove knots, aches and strains. The voucher also entitles the bearer a discount of 50% off a beautiful Medusa branded candle. Since its inception in 2011, Meyers has earned a reputation for its forward-thinking, ‘moving beyond expectations’ approach. The team is still absolutely dedicated to the agency’s founding mission – to create, enhance and deliver customers proactive, pure estate agency services, specialising in selling and letting property with efficiency whilst replenishing local communities. To find out more about Medusa Apothecary – the boutique, hair salon and day spa, visit www.medusa-apothecary.co.uk. To search for a new home or to arrange a free no-obligation market valuation, pop into Meyers at 1 Queen Mother Square in Poundbury, call 01305 259436 or visit www.meyersestates.com.